Loop quantum gravity—a theory that extends general relativity by quantizing spacetime—predicts that black holes evolve into white holes. Figure 1: Artist rendering of the black-to-white-hole transition. 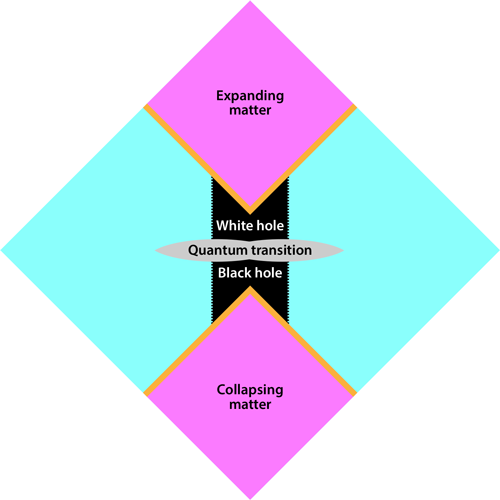 Using loop quantum gravity, Ashtekar, Olmedo, and Singh predict that black holes evolve into white holes. F. Vidotto/University of the Basque Country. Black holes are remarkable entities. On the one hand, they have now become familiar astrophysical objects that have been observed in large numbers and in many ways: we have evidence of stellar-mass holes dancing around with a companion star, of gigantic holes at the center of galaxies pulling in spiraling disks of matter, and of black hole pairs merging in a spray of gravitational waves. All of this is beautifully accounted for by Einstein’s century-old theory of general relativity. Yet, on the other hand, black holes remain highly mysterious. We see matter falling into them, but we are in the dark about what happens to this matter when it reaches the center of the hole. Abhay Ashtekar and Javier Olmedo at Pennsylvania State University in University Park and Parampreet Singh at Louisiana State University, Baton Rouge, have taken a step toward answering this question . They have shown that loop quantum gravity—a candidate theory for providing a quantum-mechanical description of gravity—predicts that spacetime continues across the center of the hole into a new region that exists in the future and has the geometry of the interior of a white hole. A white hole is the time-reversed image of a black hole: in it, matter can only move outwards. The passage “across the center” into a future region is counterintuitive; it is possible thanks to the strong distortion of the spacetime geometry inside the hole that is allowed by general relativity. This result supports a hypothesis under investigation by numerous research groups: the future of all black holes may be to convert into a real white hole, from which the matter that has fallen inside can bounce out. However, existing theories have not been able to fully show a way for this bounce to happen. That loop quantum gravity manages to do it is an indication that this theory has ripened enough to tackle real-world situations. The reason why we are in the dark about aspects of black hole physics is that quantum phenomena dominate at the center and in the future of these objects. Classical general relativity predicts that a black hole lives forever and that its center is a “singularity” where space and time end. These predictions are not realistic because they disregard quantum effects. To tackle these effects we need a quantum theory of gravity. We don’t yet have consensus on such a theory, but we have candidates, some of which are now reaching the point of allowing actual calculations on the quantum behavior of black holes. Loop quantum gravity, which has a clean conceptual structure and a well-defined mathematical formulation based on representing the fabric of space as a spin network that evolves in time, is one such theory. During the last few years, a number of research groups have applied loop theory to explore the evolution of black holes. These efforts are building a compelling picture based on a black-to-white-hole transition scenario (Fig. 1), which can be summarized as follows . At the center of the black hole, space and time do not end in a singularity, but continue across a short transition region where the Einstein equations are violated by quantum effects. From this region, space and time emerge with the structure of a white hole interior, a possibility suggested in the 1930s by physicist John Lighton Synge . As the hole’s center evolves, its external surface, or “horizon,” slowly shrinks because of the emission of radiation—a phenomenon first described by Stephen Hawking. This shrinkage continues until the horizon reaches the Planck size (the characteristic scale of quantum gravity) or earlier [4, 5], at which point a quantum transition (“quantum tunneling”) happens at the horizon, turning it into the horizon of a white hole (Fig. 2). Thanks to the peculiar distorted relativistic geometry, the white hole interior born at the center joins the white horizon, completing the formation of the white hole. Loosely speaking, the full phenomenon is analogous to the bouncing of a ball. A ball falls to the ground, bounces, and then moves up. The upward motion after the bounce is the time-reversed version of the falling ball. Similarly, a black hole “bounces” and emerges as its time-reversed version—a white hole. Collapsing matter does not disappear at the center: it bounces up through the white hole. Energy and information that fell into the black hole emerge from the white hole. The configuration where the compression is maximal, which separates the black hole from the white hole, is called a “Planck star.” Because of the huge time distortion allowed by relativity, the time for the process to happen can be short (microseconds) when measured from inside the hole but long (billions of years) when measured from the outside. Black holes might be bouncing stars seen in extreme slow motion. This is a compelling picture because it removes the singularity at a black hole’s center and resolves the paradox of the apparent disappearance of energy and information into a black hole. Until now, this black-to-white-hole picture was not derived from an actual quantum theory of gravity; it was just conjectured—and implemented with ad hoc modifications to Einstein’s general relativity equations. Ashtekar, Olmedo, and Singh have shown that a crucial ingredient of this scenario, the transition at the center, follows from a genuine quantum gravity theory, namely, loop theory. The result was obtained through an approximation of the full loop-quantum-gravity equations —similar to the one employed in previous work aimed at resolving the big bang singularity . It is important to note that the Ashtekar-Olmedo-Singh model addresses only the transition at the center of the hole. To complete the picture, we also need the calculation of the tunneling at the horizon . Preliminary steps in this direction have been taken, but the problem is open. Its solution would lead to a complete understanding of the quantum physics of black holes. It is not implausible that empirical observations could support this scenario. Models suggest that several observed astrophysical phenomena could be related to the black-to-white-hole transition . Among these are fast radio bursts (FRBs) and certain high-energy cosmic rays. Both could be produced by matter and photons that were trapped in black holes produced in the early Universe and liberated by the black-to-white-hole transition. For the moment, however, the astrophysical data are insufficient to determine whether the statistical properties of observed FRBs and cosmic rays confirm this hypothesis . Another intriguing possibility is that small holes produced by the black-to-white-hole transition may be stable: in which case, these “remnants” could be a component of dark matter . We are only beginning to understand the quantum physics of black holes, but in this still speculative field, the Ashtekar-Olmedo-Singh result gives us a welcome fixed point: loop gravity predicts that the interior of a black hole continues into a white hole. The importance of any progress in this field goes beyond understanding black holes. The center of a black hole is where our current theory of spacetime, as given by Einstein’s general relativity, fails. Understanding the physics of this region would mean understanding quantum space and quantum time. A. Ashtekar, J. Olmedo, and P. Singh, “Quantum transfiguration of Kruskal black holes,” Phys. Rev. Lett. 121, 241301 (2018); “Quantum extension of the Kruskal spacetime,” Phys. Rev. D 98, 126003 (2018). E. Bianchi, M. Christodoulou, F. D’Ambrosio, H. M. Haggard, and C. Rovelli, “White holes as remnants: A surprising scenario for the end of a black hole,” Class. Quant. Grav. 35, 225003 (2018). J. L. Synge, “The gravitational field of a particle,” Proc. Roy. Irish Acad. A 53, 83 (1950). C. Rovelli and F. Vidotto, “Planck stars,” Int. J. Mod. Phys. D 23, 1442026 (2014). L. Modesto, “Black hole interior from loop quantum gravity,” Adv. High Energy Phys. 2008, 459290 (2008). I. Agullo and P. Singh, “Loop quantum cosmology: A brief review,” Loop Quantum Gravity, 100 Years of General Relativity Vol. 4, edited by A. Ashtekar and J. Pullin (World Scientific, Singapore, 2017)[Amazon][WorldCat]. H. Haggard and C. Rovelli, “Black hole fireworks: Quantum-gravity effects outside the horizon spark black to white hole tunneling,” Phys. Rev. D 92, 104020 (2015). A. Barrau, B. Bolliet, F. Vidotto, and C. Weimer, “Phenomenology of bouncing black holes in quantum gravity: A closer look,” J. Cosmol. Astropart. Phys. 2016, 022 (2016); A. Barrau, K. Martineau, and F. Moulin, “Status report on the phenomenology of black holes in loop quantum gravity: Evaporation, tunneling to white holes, dark matter and gravitational waves,” Universe 4, 102 (2018). C. Rovelli and F. Vidotto, “Small black/white hole stability and dark matter,” Universe 4, 127 (2018). Physicists have wondered for decades whether infinitely dense points known as singularities can ever exist outside black holes, which would expose the mysteries of quantum gravity for all to see. 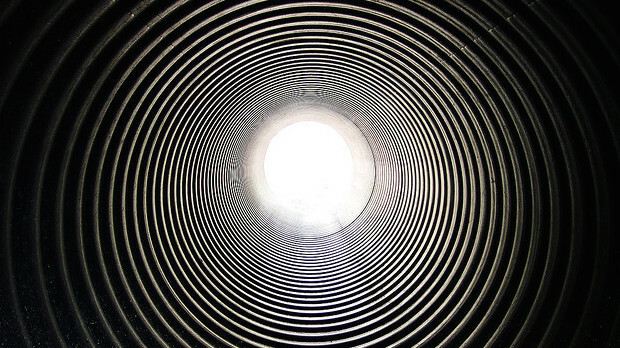 Singularities — snags in the otherwise smooth fabric of space and time where Albert Einstein’s classical gravity theory breaks down and the unknown quantum theory of gravity is needed — seem to always come cloaked in darkness, hiding from view behind the event horizons of black holes. 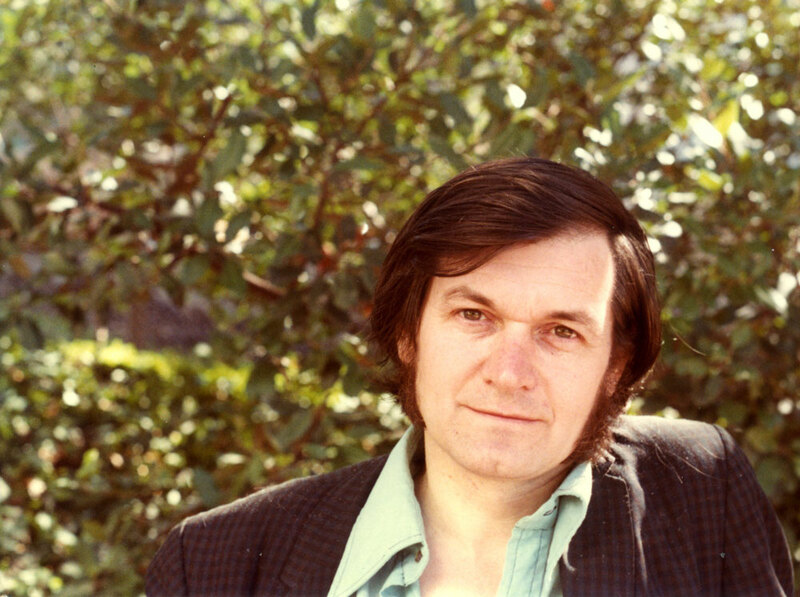 The British physicist and mathematician Sir Roger Penrose conjectured in 1969 that visible or “naked” singularities are actually forbidden from forming in nature, in a kind of cosmic censorship. But why should quantum gravity censor itself? Now, new theoretical calculations provide a possible explanation for why naked singularities do not exist — in a particular model universe, at least. The findings indicate that a second, newer conjecture about gravity, if it is true, reinforces Penrose’s cosmic censorship conjecture by preventing naked singularities from forming in this model universe. Some experts say the mutually supportive relationship between the two conjectures increases the chances that both are correct. And while this would mean singularities do stay frustratingly hidden, it would also reveal an important feature of the quantum gravity theory that eludes us. “It’s pleasing that there’s a connection” between the two conjectures, said John Preskill of the California Institute of Technology, who in 1991 bet Stephen Hawking that the cosmic censorship conjecture would fail (though he actually thinks it’s probably true). The new work, reported in May in Physical Review Letters by Jorge Santos and his student Toby Crisford at the University of Cambridge and relying on a key insight by Cumrun Vafa of Harvard University, unexpectedly ties cosmic censorship to the 2006 weak gravity conjecture [JHEP], which asserts that gravity must always be the weakest force in any viable universe, as it is in ours. (Gravity is by far the weakest of the four fundamental forces; two electrons electrically repel each other 1 million trillion trillion trillion times more strongly than they gravitationally attract each other.) Santos and Crisford were able to simulate the formation of a naked singularity in a four-dimensional universe with a different space-time geometry than ours. But they found that if another force exists in that universe that affects particles more strongly than gravity, the singularity becomes cloaked in a black hole. In other words, where a perverse pinprick would otherwise form in the space-time fabric, naked for all the world to see, the relative weakness of gravity prevents it. Santos and Crisford are running simulations now to test whether cosmic censorship is saved at exactly the limit where gravity becomes the weakest force in the model universe, as initial calculations suggest. Such an alliance with the better-established cosmic censorship conjecture would reflect very well on the weak gravity conjecture. And if weak gravity is right, it points to a deep relationship between gravity and the other quantum forces, potentially lending support to string theory over a rival theory called loop quantum gravity. The “unification” of the forces happens naturally in string theory, where gravity is one vibrational mode of strings and forces like electromagnetism are other modes. But unification is less obvious in loop quantum gravity, where space-time is quantized in tiny volumetric packets that bear no direct connection to the other particles and forces. “If the weak gravity conjecture is right, loop quantum gravity is definitely wrong,” said Nima Arkani-Hamed, a professor at the Institute for Advanced Study who co-discovered the weak gravity conjecture. The new work “does tell us about quantum gravity,” said Gary Horowitz, a theoretical physicist at the University of California, Santa Barbara. The wager still stands 20 years later, but not without coming under threat. In 2010, the physicists Frans Pretorius and Luis Lehner discovered a mechanism [Physical Review Letters]for producing naked singularities in hypothetical universes with five or more dimensions. And in their May paper, Santos and Crisford reported a naked singularity in a classical universe with four space-time dimensions, like our own, but with a radically different geometry. This latest one is “in between the ‘technical’ counterexample of the 1990s and a true counterexample,” Horowitz said. Preskill agrees that it doesn’t settle the bet. But it does change the story. 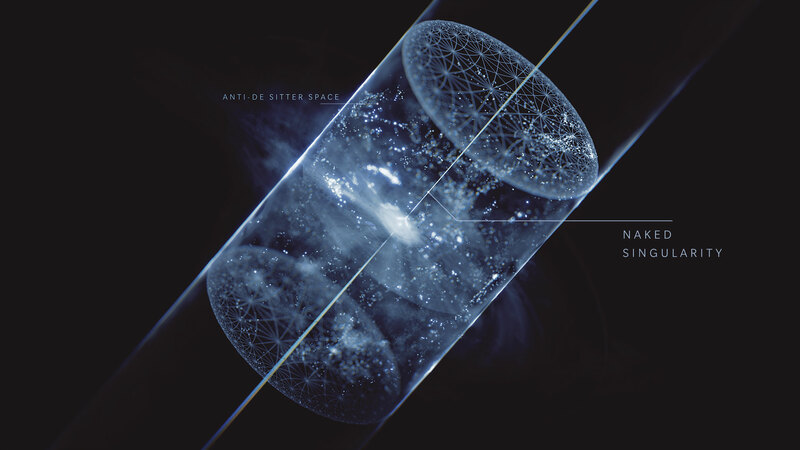 The new discovery began to unfold in 2014, when Horowitz, Santos and Benson Way found that naked singularities could exist in a pretend 4-D universe called “anti-de Sitter” (AdS) space whose space-time geometry is shaped like a tin can. This universe has a boundary — the can’s side — which makes it a convenient testing ground for ideas about quantum gravity: Physicists can treat bendy space-time in the can’s interior like a hologram that projects off of the can’s surface, where there is no gravity. In universes like our own, which is closer to a “de Sitter” (dS) geometry, the only boundary is the infinite future, essentially the end of time. Timeless infinity doesn’t make a very good surface for projecting a hologram of a living, breathing universe. Despite their differences, the interiors of both AdS and dS universes obey Einstein’s classical gravity theory — everywhere outside singularities, that is. If cosmic censorship holds in one of the two arenas, some experts say you might expect it to hold up in both. Horowitz, Santos and Way were studying what happens when an electric field and a gravitational field coexist in an AdS universe. Their calculations suggested that cranking up the energy of the electric field on the surface of the tin can universe will cause space-time to curve more and more sharply around a corresponding point inside, eventually forming a naked singularity. In their recent paper, Santos and Crisford verified the earlier calculations with numerical simulations. In 2015, Horowitz mentioned the evidence for a naked singularity in 4-D AdS space to Cumrun Vafa, a Harvard string theorist and quantum gravity theorist who stopped by Horowitz’s office. Vafa had been working to rule out large swaths of the 10^500 different possible universes that string theory naively allows. He did this by identifying “swamplands”: failed universes that are too logically inconsistent to exist. By understanding patterns of land and swamp, he hoped to get an overall picture of quantum gravity. Working with Arkani-Hamed, Luboš Motl and Alberto Nicolis in 2006, Vafa proposed the weak gravity conjecture as a swamplands test. The researchers found that universes only seemed to make sense when particles were affected by gravity less than they were by at least one other force. Dial down the other forces of nature too much, and violations of causality and other problems arise. “Things were going wrong just when you started violating gravity as the weakest force,” Arkani-Hamed said. The weak-gravity requirement drowns huge regions of the quantum gravity landscape in swamplands. 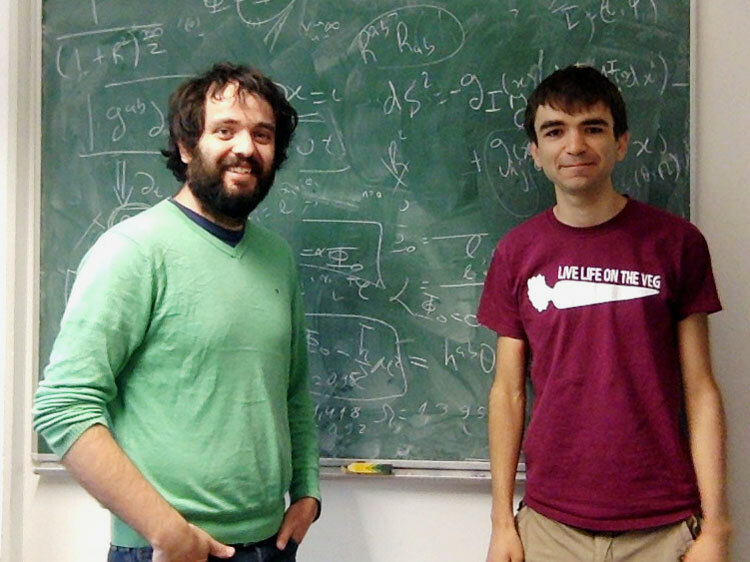 Jorge Santos (left) and Toby Crisford of the University of Cambridge have found an unexpected link between two conjectures about gravity. Weak gravity and cosmic censorship seem to describe different things, but in chatting with Horowitz that day in 2015, Vafa realized that they might be linked. Horowitz had explained Santos and Crisford’s simulated naked singularity: When the researchers cranked up the strength of the electric field on the boundary of their tin-can universe, they assumed that the interior was classical — perfectly smooth, with no particles quantum mechanically fluctuating in and out of existence. But Vafa reasoned that, if such particles existed, and if, in accordance with the weak gravity conjecture, they were more strongly coupled to the electric field than to gravity, then cranking up the electric field on the AdS boundary would cause sufficient numbers of particles to arise in the corresponding region in the interior to gravitationally collapse the region into a black hole, preventing the naked singularity. However, Lee Smolin of the Perimeter Institute, one of the developers of loop quantum gravity, has pushed back, arguing that if weak gravity is true, there might be a loopy reason for it. And he contends that there is a path to unification [J.Phys.A] of the forces within his theory — a path that would need to be pursued all the more vigorously if the weak gravity conjecture holds. Given the apparent absence of naked singularities in our universe, physicists will take hints about quantum gravity wherever they can find them. They’re as lost now in the endless landscape of possible quantum gravity theories as they were in the 1990s, with no prospects for determining through experiments which underlying theory describes our world. “It is thus paramount to find generic properties that such quantum gravity theories must have in order to be viable,” Santos said, echoing the swamplands philosophy. Weak gravity might be one such property — a necessary condition for quantum gravity’s consistency that spills out and affects the world beyond black holes. These may be some of the only clues available to help researchers feel their way into the darkness. Eight decades have passed since physicists realized that the theories of quantum mechanics and gravity [Albert Einstein’s Theory of General Relativity] don’t fit together, and the puzzle of how to combine the two remains unsolved. In the last few decades, researchers have pursued the problem in two separate programs — string theory and loop quantum gravity — that are widely considered incompatible by their practitioners. But now some scientists argue that joining forces is the way forward. This approach has long been thought incompatible with string theory. Indeed, the conceptual differences are obvious and profound. For starters, LQG studies bits of space-time, whereas string theory investigates the behavior of objects within space-time. Specific technical problems separate the fields. String theory requires that space-time have 10 dimensions; LQG doesn’t work in higher dimensions. String theory also implies the existence of supersymmetry, in which all known particles have yet-undiscovered partners. Supersymmetry isn’t a feature of LQG. A white whole is, roughly speaking, the opposite of a black hole. “A black hole is a place where you can go in but you can never escape; a white hole is a place where you can leave but you can never go back,” says Caltech physicist Sean Carroll. “Otherwise, [both share] exactly the same mathematics, exactly the same geometry.” That boils down to a few essential features: a singularity, where mass is squeezed into a point of infinite density, and an event horizon, the invisible “point of no return” first described mathematically by the German physicist Karl Schwarzschild in 1916. For a black hole, the event horizon represents a one-way entrance; for a white hole, it’s exit-only. There is excellent evidence that black holes really exist, and astrophysicists have a robust understanding of what it takes to make one. To imagine how a white hole might form, though, we have to go out on a bit of an astronomical limb. One possibility involves a spinning black hole. According to [Albert] Einstein’s general theory of relativity, the rotation smears the singularity into a ring, making it possible in theory to travel through the swirling black hole without being crushed. 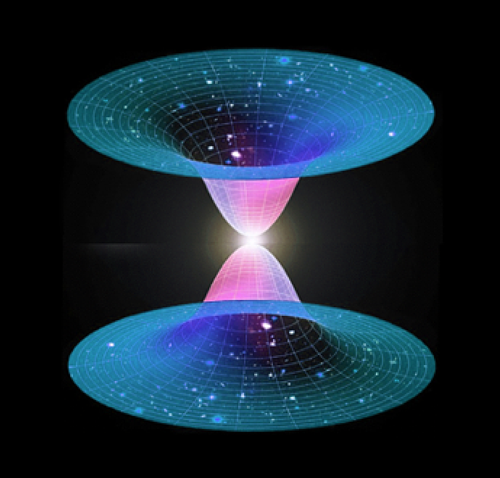 General relativity’s equations suggest that someone falling into such a black hole could fall through a tunnel in space-time called a wormhole and emerge from a white hole that spits its contents into a different region of space or period of time. Though mathematical solutions to those equations exist for white holes, “they’re not realistic,” says Andrew Hamilton, an astrophysicist at the University of Colorado at Boulder. That is because they describe universes that contain only black holes, white holes and wormholes—no matter, radiation or energy. Indeed, previous research, including Hamilton’s, suggests that anything that falls into a spinning black hole will essentially plug up the wormhole, preventing the formation of a passage to a white hole. But there’s a light at the end of the wormhole, so to speak. General relativity, from which Hamilton draws his predictions, breaks down at a black hole’s singularity. “The energy density and the curvature become so large that classical gravity is not a good description of what’s happening there,” says Stephen Hsu, a physicist at Michigan State University in East Lansing. Perhaps a more complete model of gravity—one that works as well on the quantum scale as it does on large ones—would negate the instability and allow for white holes, he says. Indeed, a unified theory that merges gravity and quantum mechanics is one of the holy grails of contemporary physics. Applying one such theory, loop quantum gravity, to black holes, theorists Hal Haggard and Carlo Rovelli of Aix-Marseille University in France have shown that black holes could metamorphose into white holes via a quantum process. In July, they published their work online. Loop quantum gravity proposes that space-time is made up of fundamental building blocks shaped like loops. According to Haggard and Rovelli, the loops’ finite size prevents a dying star from collapsing all the way down into a point of infinite density, and the shrinking object rebounds into a white hole instead. This process may take just a few thousandths of a second, but thanks to the intense gravity involved, the effects of relativity make the transformation appear to take much, much longer to anyone watching from afar. That means that minuscule black holes born in the infant universe could “now be ready to pop off like firecrackers,” forming white holes, according to a report in Nature. Some of the explosions astronomers thought were supernovae may actually be the wails of newborn white holes. The black-to-white conversion could resolve a nettlesome conundrum known as the black hole information paradox. The notion that information can be destroyed is anathema in physics, and general relativity says that anything, including information, that falls into a black hole can never escape. These two statements are not at odds if black holes simply act as locked safes for any information they slurp up, but Stephen Hawking showed 40 years ago that black holes actually evaporate over time. That led to the disturbing possibility that the information contained within them could be lost too, triggering a debate that rages to this day.